The song was “Surgeon,” with lyrics inspired by an entry in Marilyn Monroe’s diary, and St. Vincent made its queasy hunger feel palpable, even, somehow, during the mounting vulgarity of the synth-guitar solo that she used as a coda. This may be an account of a dream. 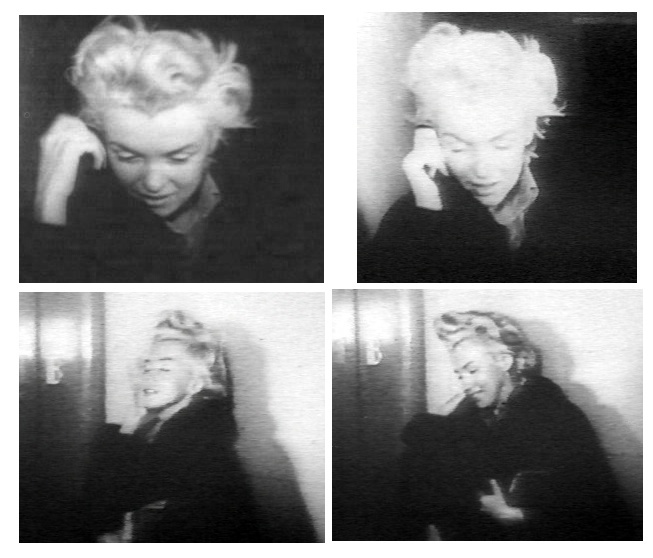 It is filled with characters from Marilyn’s life at the time – Lee Strasberg, Arthur Miller, Milton Greene, Dr Hohenberg, the Rostens – and suggests Marilyn’s intense fear of not living up to their expectations. Like many of Marilyn’s undefined pieces, it has the quality of a prose poem. The bolded parts denote spelling anomalies, while the crossings-out are her own. Strasberg’s hopes & dreams for theater are fallen.